Need a carpet cleaning company in Colliers Wood, SW19? Using the best of contemporary products across a host of services, our proud carpet cleaners in Colliers Wood rank among the finest in the country. Knowledgeable about carpets and how to deliver on various modern materials, our team of experts at Carpet Cleaning Colliers Wood understand how important your 'magic carpet' is to you and no task is too difficult. Did you find out this morning that last night's drinks left some unwanted red wine stains on your Saxony carpet at the foot of the stairs? Did you get to work on time having spilt dark coffee all over your bedroom shag carpet? Don’t worry because, no matter what your carpet cleaning in SW19 area requirements are, our carpet clean team will arrive in no time and restore all things snug and comfortable underfoot in your home, including an exclusive rug cleaning service. The only thing you have to do is to call on 020 3540 7254. Upholstery cleaning SW19 proving difficult? It's likely something as boring as sofa cleaning is-the last thing you want to do, especially after the dog has taken up residence on your favourite seat for a few weeks. As dust silently accumulates in those impossible-to-get-to areas, it's surprising what else you typically find down the side of your sofa, with food remnants and the odd tea stain an inevitable by-product of your indoors winter lifestyle. 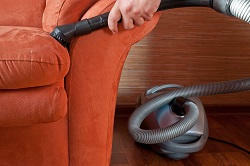 Thankfully our Colliers Wood upholstery cleaners at Carpet Cleaning Colliers Wood are here to help. In offering a host of services, using the latest products, including handheld cordless vacuums, our upholstery cleaners will delight in demonstrating just how unclean your upholstery is as we reach the end of the armchair winter. Fear not however as our team will give you a full and affordable upholstery clean in the SW19 region. End of tenancy cleaning-the one worry on your mind as you plan that great escape? When you're relocating to a new and better place it's difficult to find motivation to clean the room you've just spent days packing into a box. Exhaustion is just one of the factors likely to dampen your spirits, yet reality insists that your emptied room, and whole house for that matter, be restored in all aspects of presentation as a respectful gesture to the new tenants. While your SW19 end of tenancy clean stands as a chore, for us it's a breeze. Our cleaners comprise a large team of up to a dozen people, dependant on the house size, and can transform any property within hours. And get this - your end of tenancy cleaning Colliers Wood choice has never been cheaper as we currently offer the best rates in move out cleaning. Hate having to clean up after everyone else? Does Colliers Wood domestic cleaning remain the biggest threat to a quiet home life? Chances are your family's practices in food preparation, cooking and general cleanliness aren't always up to scratch. Is your teenage son neglectful when he comes in from his run in muddy shoes? Home cleaning makes even the best of us nauseas. Thankfully our team of domestic cleaners enjoy doing all the dirty work and know how to tackle even the most unpleasant of tasks. Is something kicking up in the fridge that you really don't want to have to deal with? Don't have the patience or will to kneel at the shower for half a day scrubbing? Not to worry as our SW19 home cleaning team will do that all for you by calling 020 3540 7254. Our domestic clean service is unrivalled in the immediate area since we use only the best in modern cleaning methods across the latest in equipment. How gleaming is your house cleaning? While many individuals have tried cleaning their entire house, few have succeeded. Chances are you've had that moment of enlightenment one Saturday afternoon and proceeded to attempt a full house clean before nightfall...but you didn't quite finish it all, yeah? Don't feel bad as we are the first to acknowledge how lengthy and detailed the process can be, particularly across both internal and external features. Our house cleaners in Colliers Wood are split across two specific teams – the first group work inside while the second set of workers operate externally, combing those grubby windows and prodding away spider webs from unreachable corners. Assisted by such a multi-purpose home cleaning team, turnaround time is extremely fast as hundreds of homeowners locally have praised the service since it was first introduced late last year. The home cleaners in SW19 are never short of resources and can neatly pack everything into a single van load, so you won't peer out onto a street cluttered by trucks and vans as our home clean team arrive. Offended by office cleaning in Colliers Wood, SW19? Keeping up appearances in a professional context remains the default aim for all of us who arrive at an office each morning. Think of all the high-profile visitors that fill the chairs in your customised space each week. The last thing they want to stumble upon is an office that bears the scars of a stressful working day, with age old coffee stains like rings under the eyes of your desk. Even more so than at home, presentation is crucial. With an increasing number of businesses cropping up locally, our office cleaners at Carpet Cleaning Colliers Wood are already familiar with the needs of local office staff and provide an office clean service which meets commercial cleaning standards. Since our efforts in industrial cleaning have been so successful, we guarantee 100% results. We understand the demands of your working life and want you to succeed in a sparkling office. As well as performing as commercial cleaners, our team are trained as building cleaners too so can cater to your external SW19 office cleaning needs as well as the internal ones. What is more, we are on your presence any time you need us just by dialling 020 3540 7254. Trust our carpet cleaning experts in Colliers Wood, SW19 and get your carpets looking good as new again. 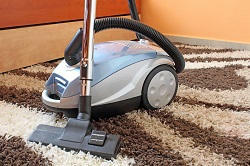 The carpet cleaners carried out a professional and thorough carpet clean. CarpetCleaningColliersWood were amazing. Domestic Cleaning Colliers Wood is the best cleaning company I have ever worked with. They offered me a tailor-made rug and upholstery cleaning service and gave me a huge discount. 10 out of 10! If you need help with carpet cleaning, I recommend Domestic Cleaning Colliers Wood. They are the best around and you will be lucky to have them! So give them a try - you will not regret it. The destruction left over from a big family party at my house included more than one red wine stain on my new carpet. I wasted no time at all in calling Upholstery Cleaning Colliers Wood and hiring their carpet cleaning service. Thank god the team got rid of all the stains really quickly and there is no sign of discolouration at all. I can't even find the places where the stains were now. A great service for a great price. Highly recommended! I work from home and so I like to get out of the house whenever I can. It's hard if I have to schedule time to do my cleaning and so I use the fantastic services of Upholstery Cleaning Colliers Wood. It works out so cheap for them to do everything for me and I get to go out for a change of scenery much more often. I would definitely recommend using them. Colliers Wood, Merton Park, Morden, Merton Abbey, Southfields, Wimbledon, Mitcham, Wandsworth, Tooting, Southfields, Putney, Roehampton, Kingston Vale, Earlsfield, Lower Morden, Wimbledon Chase, Raynes Park, Sutton, Rose Hill, Erskine Village, Morden Park, Benhilton, St. Helier, Raynes Park, Worcester Park, Surbiton, Berrylands, New Malden, Tolworth, SW17, SM4, SW18, SW15, SW20, KT3, SW19, KT5, SW18, KT4, KT2, SW17, SM3 and the rest of London as well. Copyright © 2013 - 2015 Carpet Cleaning Colliers Wood. All rights reserved.